Microsoft has launched Windows Mobile 6.5 ushering in a new generation of Window’s powered mobile devices. The software giant has promised a more rounded Microsoft experience with services that many PC users might be familiar with including redesigned mobile versions of Internet Explorer, Office and Outlook. Users of mobile devices running Windows Mobile 6.5 will also have access to most popular social networking sites such as Facebook, Twitter, MySpace and Windows Live. Microsoft has announced partnerships with major telecommunications providers and manufacturers worldwide including Orange, Deutsche Telekom and Vodafone, and Acer, HTC, LG, Samsung, Sony Ericsson and Toshiba. 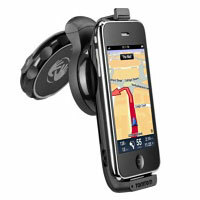 TomTom has designed a car kit for use with the iPhone. The kit, on sale this month, has been given a recommended retail price of £99.99 and is compatible with the iPhone 2G, 3G and 3GS. The TomTom iPhone app, long awaited prior to its release in August, is not included in the kit, however both are available in the UK through Apple Store. 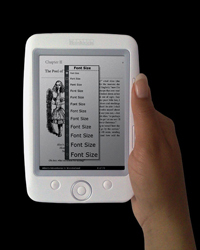 Bookeen has released the Cybook Opus, its fourth generation e-reader. The black and white electronic book measures 10.8cm x 15cm, weighs 150g including the battery and can hold up to 1,000 books on its 1GB internal memory or 3,000 on an external 4GB microSD card. The device comes shipped with 75 titles. Supported formats include Adobe ePub / PDF, TXT and HTML, and images in JPEG, GIF and PNG. Bookeen said the battery lasts for 8,000 page views or around two weeks of average use. Acer is to launch two new Aspire notebooks this month, the 7540 and 5542. The two notebooks go on sale on October 22 and come equipped with AMD’s VISUAL technology for improved HD graphics and Blu-ray video playback. 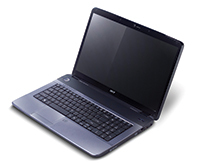 The laptops differ mainly in their screen size, the 7540 at 17.3” and the 5542 at 15.6”. 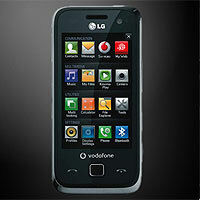 The 7540 also weighs slightly more at 3.26kg including battery versus the 5542’s 2.8kg. Both also feature a multi-gesture mouse pad which responds to two-finger scrolling, pinch, rotate and flip commands. Both laptops’ batteries last around 2.5 hours and can charge to 80% in one hour, according to Acer. Bose has updated its Wave music system to include SoundLink, which allows it to be connected wirelessly to a computer. Due out in November, Wave systems with SoundLink will be able to play music stored on a computer without the need for wires. The Bose system will still come with a CD player, digital AM/FM tuner and auxiliary input allowing it to be used as a standard, standalone music player. The device uses its own USB wireless link, so there is no need for a wifi connection or any special software. A separate SoundLink adaptor is available for existing Wave systems.